So i was wondering will any of the team korea skaters go to the Olympics? Or is the spot for Olympics already full? Ooooh, I hope Jun Hwan gets SC! 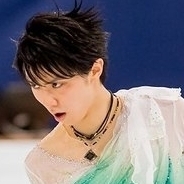 Then I can go see him and Yuzu. Assuming Yuzu gets it, of course. But poor boy, I think he has great potential, but I feel so bad for him moving to seniors so quickly and right in the middle of the insane quad race. I don't want him to hurt himself. I don't think moving to seniors so quickly might be bad for him. When I look at junior girls and see that Kihira can't move to seniors I'm relieved, because she still needs to refine a lot of things, but I'm glad Cha can move to seniors. Besides the fact that they were robbing him anyway, I think experiencing Olympic games at home will really help him in his road to 2022, when he will (hopefully) be a contender for a medal. Re quads, I'm not worried. He is working on loop and toe, but he is with Brian and I'm pretty sure they will not rush anything. 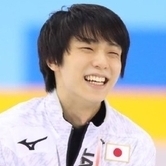 I expect him to try toeloop next year, while 4s is surely going to be in the SP...but I seriously doubt they'll ever sacrifice quality for them. Do you mean in all the disciplines? Korean ladies have already two slots for the Olympics, because Da Bin Choi finished in the Top 10 at the World Championships. They are hosts, so they will go even if Nebelhorn doesn't work out for them. It's in the rules. But as sally said, in case of the ladies, they have 2 spots there, regardless, thanks to Dabin. Why do they even need to go to Nebelhorn then? I guess so you're not just seen as using your host privileges to get skaters in without a token effort? It's the numbers. They are trying to stick to the designated numbers of so and so singles/pairs so they want to try and fit in the host into the official quotas if they can as then it fits into their money plans. They're trying to cut down on the expenses. Oh I see. Cha Jun Hwa should have no problem getting a spot anyway. I hope too that So Youn will come back in her top form. I think consistency will be the key for her, a lot can depend on that the next season. Da Bin was also consistent last season (at least in the second part of it) which paid off in the end. And yes, it would be good for Jun Hwan to go to a senior-B competition before the GP series starts. Nebelhorn would be a good choice, but it may be easier to go to ACI or even US Classic International. I am also looking forward to cheer for him at senior competitions!